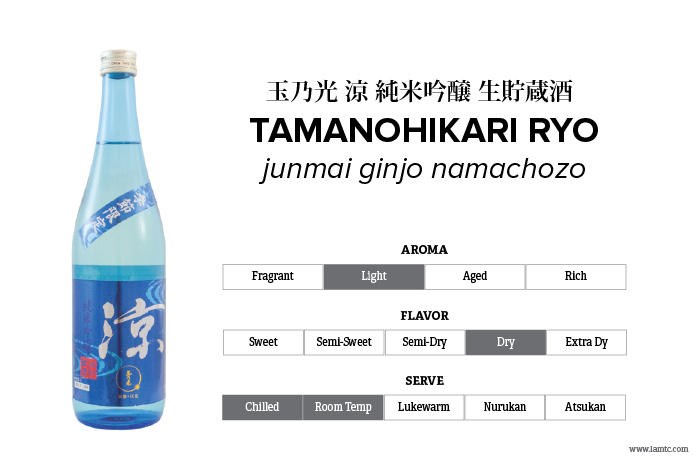 Tamanohikari’s summer only limited edition –Ryo Junmai Ginjo Namachozo. This single pasteurized sake is made from premium-quality rice from their local rice crop in Kyoto which delivers crisp, clean and light characteristics. Chill and serve to defeat the summer heat. Limited quantity; don’t miss out!